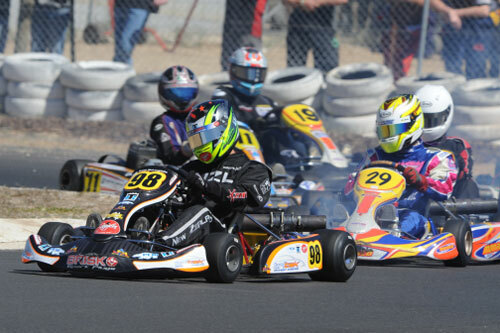 The 2009 Victorian Country Series kicked off at the Wimmera circuit at Horsham last weekend, March 8. 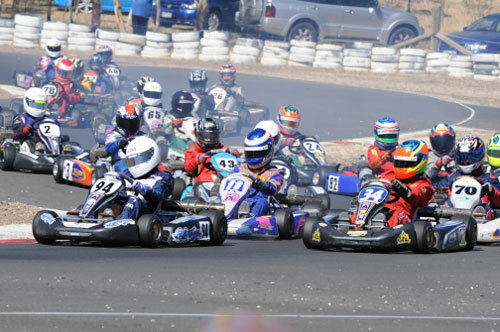 Ash Budd captured the following action. 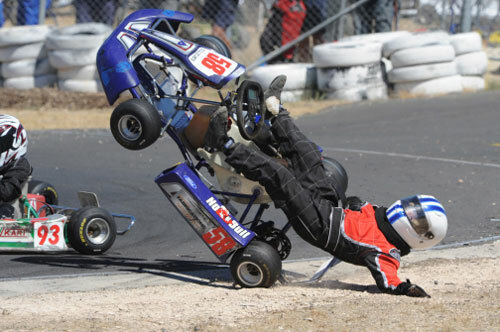 Many more photos are on his website, photowagon.com.au, including full sequences of some heavy rollovers. 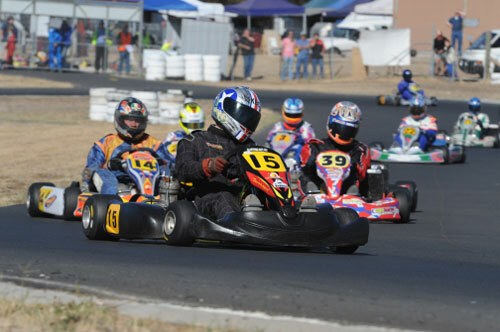 Full results were posted on mylaps.com HERE. 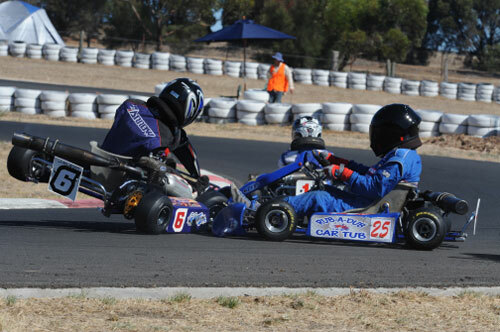 Above: Kevin Millard leads Mitchell Cuzens, Travis Millar and Remo Luciani, Clubman Heavy. 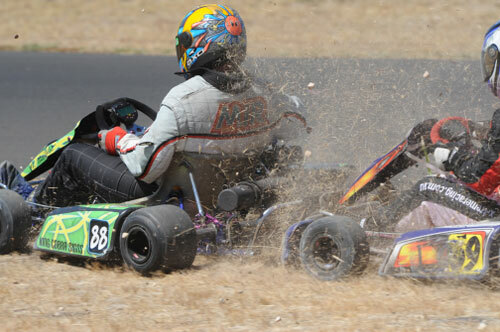 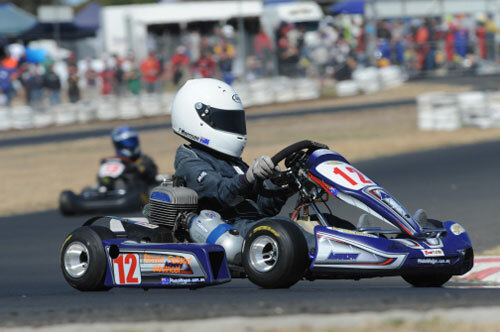 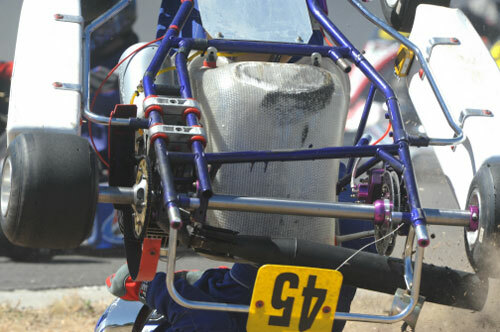 Above: Lachlan Naismith bites the dust after contacting a spun kart in Midgets. 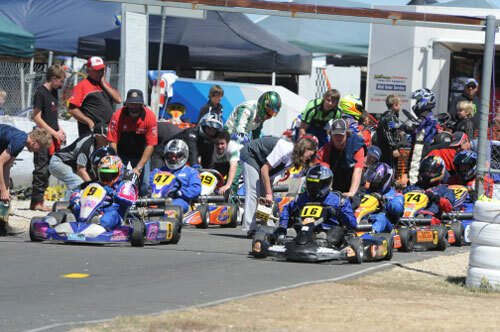 Above: A strong contingent of karters crossed the border from South Australia. 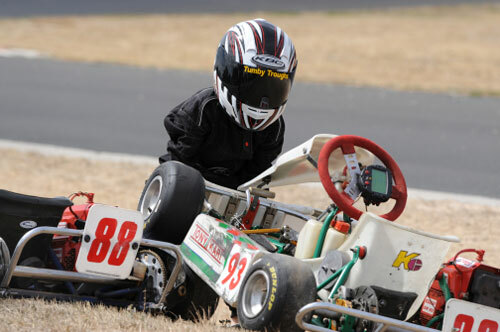 This is Tyler Morrison, 2nd overall in Rookies. 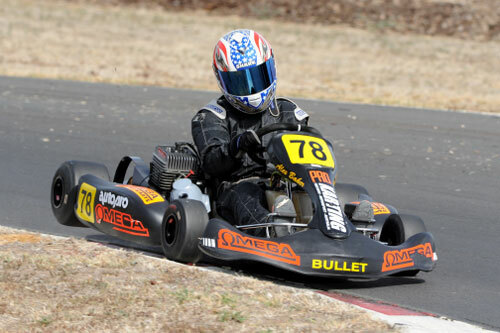 Above: Karting veteran Greg Matchoss was undefeated all day in Clubman Over 40s. 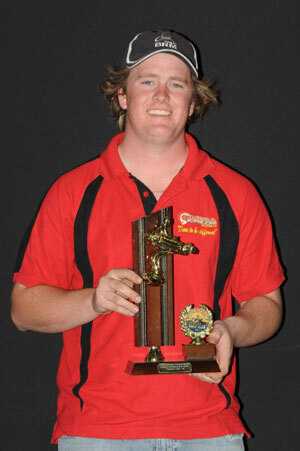 Above: Nathan Van Hulst (88) and Craig Arnett chasing rabbits, Clubman Super Heavy. 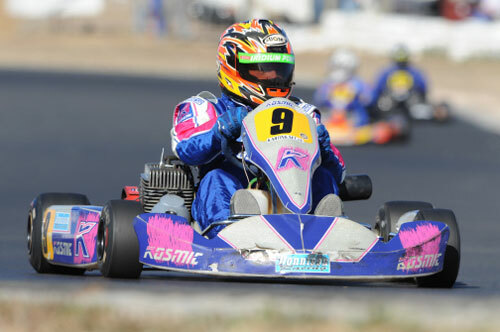 Arnett would take the win. 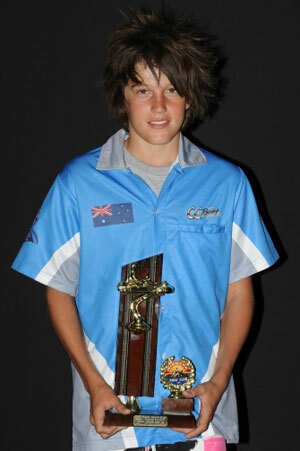 Above: Brad Jenner, Junior National Light winner. 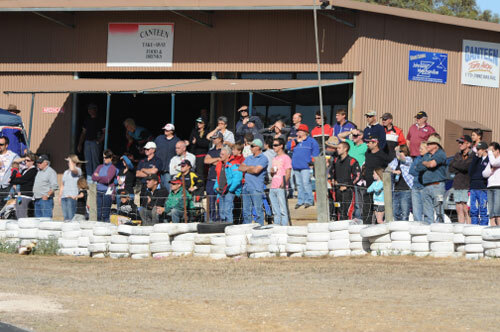 Above: Part of the crowd at Horsham. 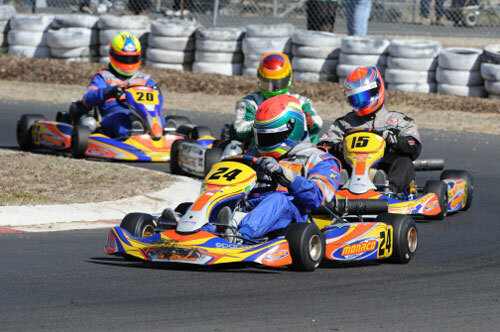 Above: Dominic Romeo leads the Midget pack with David Denboer (99) and Joshua Munn (08) following. 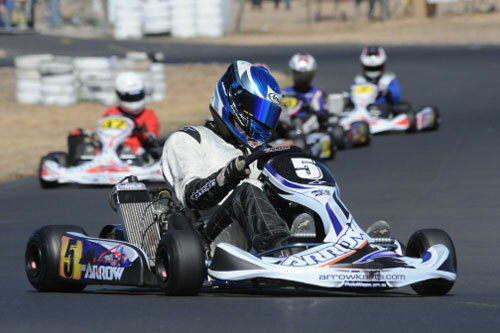 Above: Incredibly, Jake Klein (6) came back from this contact with Mitchell Broome to take out the Rookies class – and Broome took third! 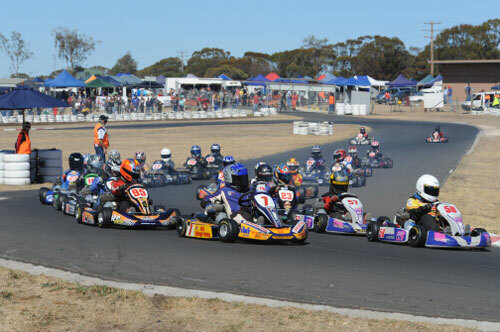 Above: Over 40s heat out for their final, Greg Matchoss (9) and Tony Fathers (16) on the front row. 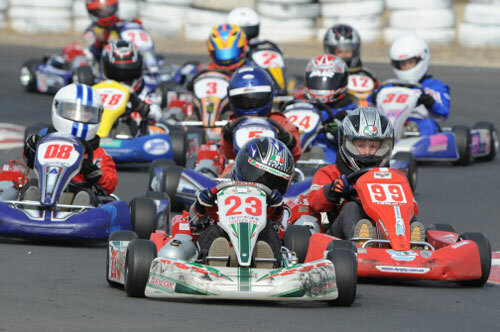 Above: Anthony Rugolo (7) and Hayden Reynolds (58) lead the Rookies to the start for heat 1.